Time for a tale from my sordid past. As you’ll soon discover, the verdict on my fourth grade self is about to be delivered. In fourth grade, I had a teacher named Mrs. Barnabas. I’ve changed her name to protect her reputation, even though she has doubtless gone on to meet her Maker by now. She was old back then, when I was in nine. As a kid, I thought she was old as the hills. As an adult? My guess would be that back then, she was in her late 50’s, or early 60’s. In my non-expert opinion, as a kid, I thought she was messed up. As an adult? I still think at least her BEHAVIOR was messed up. To extend mercy and grace toward her, I’ll just say that she probably had reached a point in her career where she already should have retired, and I say that based NOT on her actual age, but on some of the behaviors I’ll be describing in this story. She took afternoon naps, nodding away at her desk in the front of the room, while we were supposed to be doing our silent reading. She indirectly was responsible for the persecution of two students by CLEARLY making them her Teacher’s Pets: one boy (Mark), one girl (Diane). Poor Diane and Mark had to fight to keep the rest of us from hating their guts. (Really, it wasn’t their fault that she fawned over them so.) They were given every privilege known to mankind, while the rest of us sat at our desks and seethed. She regularly applied makeup and cologne while sitting at her desk, right in front of us. She opened her mouth, placed her bright red lipstick between her two lips, closed both her lips around it at the same time, and smeared it on, heavily. As I watched her apply it each day – sometimes several times a day – I couldn’t help but think that it looked like she was eating that tube of lipstick. The lipstick itself took on the shape of the top of a Dairy Queen Soft Serve Ice Cream Cone: one big concave curly-swirl, which came from the way she squeezed it between those lips of hers. The end result of this lipstick application was that her mouth became a smeary crimson gash across her face. She sucked Lifesavers. In front of us. What’s worse, she smacked her lips and would speak to us with her speech impeded by sucking. (“Thit down, Jimmy. Go back to your theat!”) Really, this borders on cruelty to children. She had salt and pepper gray and black hair, that was a lot more salt than pepper. Each day she would ask her Pet, Diane, to comb her hair, and pluck out the gray hairs. We would have been looking at Sybil’s bald white scalp if Diane had ever completely accomplished the task Sybil set before her. One day, when Sybil fell asleep, we all got up out of our desks, and tiptoed around the room. I was silently giggling so hard I thought I might wet myself. Then Vic (the class clown, and the object of my affection) motioned for us all to get back in our seats, threw down his textbook on top of his desk (BAM!!!) and her head came flying up and back off her chest like a crash dummy’s. Golden memory. She loved the sound of her own voice, especially reading poetry, and we could divert her from schoolwork for hours by begging her for just one more poem. “The Gingham Dog and the Calico Cat”, “The Spider and the Fly” , and “The Leak in the Dike” all come to mind. I listened to a LOT of poetry that year. So…this one time…we were doing a unit on Holland. Sybil had stretched some newsprint paper on the back of the metal cabinet that served as a room divider. On the other side of that cabinet were hooks where we hung our coats, and in that small section of the classroom was the sink, and more storage cabinets. It’ was kind of like a little locker room/foyer part of the classroom. Also located at the front of the locker room area was our classroom’s little one potty bathroom. On the paper on the back of the coat cabinet, we were to draw a mural of Holland: tulips, windmills, Dutch children in blonde braids and clogs, anything we could think of. I was seated on the floor, with my back to the rest of my classmates, working on the mural, while Sybil was reading, “The Leak in the Dike”. My partners in crime, Jimmy and Mark (not the teacher’s pet; a different Mark), were making me laugh, because they whispered to me that the little boy was sticking his finger on his private body part to keep himself from peeing. This (according to Jimmy and Mark) was the leak he was trying to prevent. When loosed in its angry might. So, I’m sitting on the floor, with my back to Sybil, my shoulders shaking with stifled laughter, because she’s reading this poem about a little boy who, in my mind – thanks to Mark and Jimmy – has to stay up all night long, trying to keep from spouting a leak that would take out all of Holland. And then Jimmy has the temerity to go into that little bathroom that I was sitting near and start mimicking making tinkle noises and poopie sounds (my mother’s training forbids me from using the “f” word, ever. Sorry.) out the vent at the bottom of the little bathroom door, just to make me laugh, and I LOST IT, giggling a lot less quietly. And SYBIL SENT ME TO THE OFFICE!!!!!!!! Who up until this year had ALWAYS BEEN the teacher’s pet!!!!!!!!! The principal made me call my mother. I was at fault. 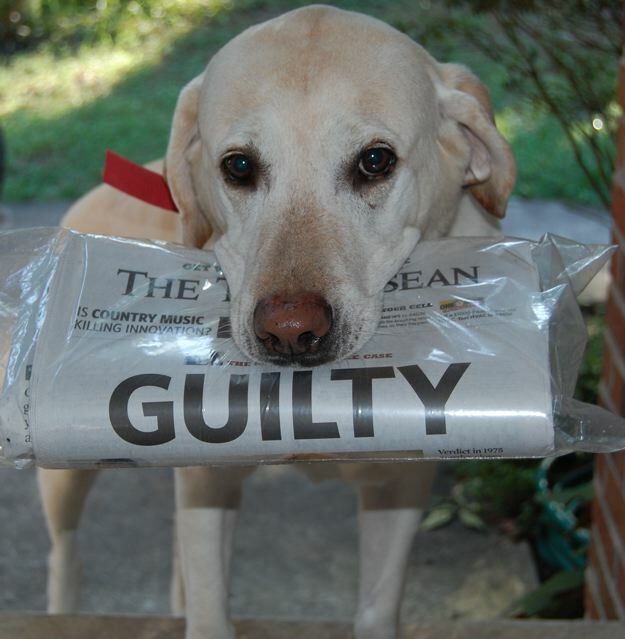 I was guilty, and I knew it. I was sitting in the PRINCIPAL’S OFFICE, for crying out loud. I deserved any punishment my mother doled out. I wore my guilt like Hester wore her scarlet letter. And I SOBBED into the phone that I had been sent there for giggling, and now I was SURE that my mother wouldn’t let me go on the Girl Scout Camping Trip that was scheduled to leave that afternoon, after school. My mother told me it was OK, and not to worry about it. And of course I could go camping. But all I can remember feeling? I felt the TREMENDOUS RELIEF that must come to a prisoner who has been pardoned at one minute before midnight. It still makes me smile, to think of my Mom offering that to me. Reminds me to pass that gift on to my own kids, from time to time. Show a little grace toward the undeserving today, in honor of ALL the grace that’s been shown to you, despite your own guilty state. Who knows what grace in others you might inspire someday?